Thousands of global and local buyers and sellers will gather in Rwanda to meet top Lighting manufacturers and experts at the Lightexpo 2019 Rwanda, which opens at The Kigali Convention Center this November. More than 80 exhibitors will present their latest products and production capabilities to buyers from Europe, the United States, Asia and the Middle East at Africa’s Prime Industrial, Commercial and Residential trade exhibition. The event, which runs from 23 - 25 May 2019, showcases Africa as a global sourcing destination. The 5000 square-meter convention floor will welcome various decision makers and influencers as well as technical and professionals from leading companies in the lighting industry. This year's expo, which is organized by the Expogroup, Supported by Rwanda Development Board, is expected to exceed the feats of LightExpo 2016, which brought together 80 international companies, 70 of which subsequently pledged to source from Africa. As for the current session these numbers are expected to increase after the success of last session on the local and international levels. LightExpo 2019 Rwanda brings together domestic and international players in the light industry with East African commercial and industrial power users to explore grid-tied and off-grid commercially viable opportunities. Serving as forum to connect local developers with international partners and investors the conference aims to create well capitalized and experienced partnerships who can deliver high quality in a timely manner to the East African region. LightExpo 2019 will continue to deliver growth to your business and to East Africa for years to come. It will be a combination of attendees, speakers, exhibitors and hours of networking. So you can mark your calendars, as the LightExpo 2019 Rwanda awaits. Do not miss out on this unrivalled opportunity to network within industry peers and discuss and define the future of the East African Light industry, be there to be part of the change. 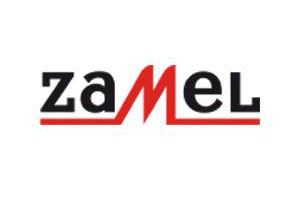 Zamel from Poland have been operating in the electrotechnical industry market for more than 25 years, dynamically developing products like LEDIX - Intelligent LED illumination, KONEKTO - Light fittings, EXTA - Building automation, EXTA FREE - Wireless control, GARDI - Security systems, EXTA LIFE - Smart home, CET - Cables and wires, MATEC - Electrical heating systems, ENTRA - Door entry systems, SUPLA - Wi-Fi Control, ETERO - Paging systems, SUNDI - Bells and chimes, STIRO - Radio controll, EXPO - Display materials, and YNSTA – Electroinstallation.